Passive RFID Card Tags were provided to each guests with a lanyard. 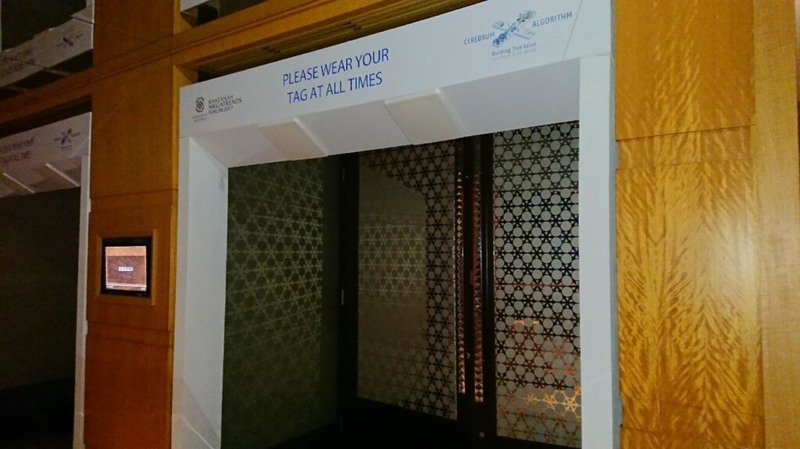 These tags can be picked up by the RFID antennas installed at the entrance of the event hall. JA Security and Innovations provided the service of tracking event guests to Khazanah Nasional Berhad, the sovereign wealth fund of the Government of Malaysia. Khazanah leased 6 RFID readers with 24 antennas to track 1000 event guests. Reports that were generated included visitor attendance per day, visitor attendance per session, breakdown of visitors by categories, average time spent by guest at each sessions. These key metrics were used to determine which sessions were more popular and which could be improved upon. The metrics also allow event planners to understand which session should be carried on the following year and which should be drop. UHF RFID tags are an inexpensive way to track visitor count during events compared to active RFID tags. JA Security is able to create custom RFID Tracking software for all visitor and personnel tracking use cases. Vendor tracking and alerts when entry into unauthorized areas.